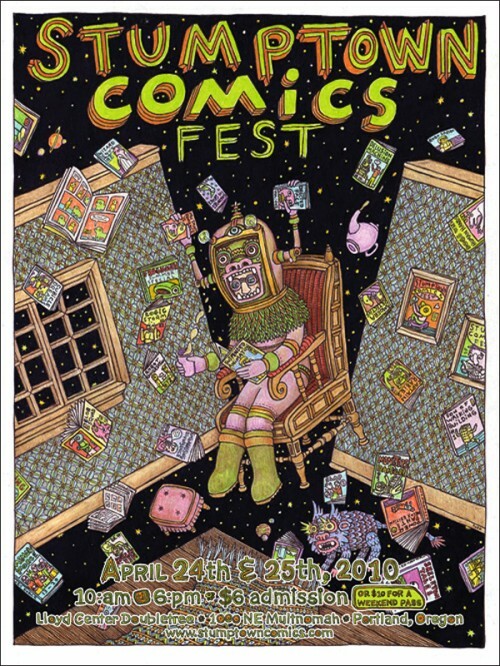 I will be in Portland, Oregon this weekend- attending Stumptown Comics Fest!! YAY! If you’ve been wondering what I’ve been up to instead of keeping my blog up to date, I’ve been working on a new mini with none other than Mr. John C. Worsley. I am at table 34! Come say hi! Buy my new mini! Also, I have an awesome big surprise on the horizon that you will see either at the fest, or on here shortly thereafter. This looks awesome! I wish I was on the west coast.